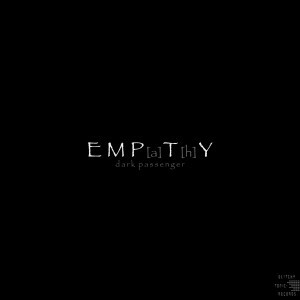 Empathy is the debut of Robert Hundt’s Dark Passenger project on Glitchy.Tonic.Records. Already known from his work as Radioactive.Cake and Zeitgeist, this album showcases Hundt’s emotive and thoughtful forays into midtempo and downtempo sounds, drawing influence from trip hop, jazz, IDM, industrial, and deeply atmospheric and psychedelic music in general. MP3 Download | FLAC Download | WAV Download · Download count: 5,625. Great Empathy, to taste note by note. Ooo nice sounds… rather unorthadox and chic… smooth vibe, with a dark edge. I love it! 85%? hell no. this is at least 99. Great Stuff!!! Keep going on! I love track 1. Its so awesome! Beautifull album man , perfect to listen after de blast !! I enjoy this piece of art! Really interesting sounds! 5 stars for me. Thanks! A sort of jazzier Amon Tobin for me.